This light is huge and very heavy. I strongly recommend you use a heavy duty light stand or even better, a good strong C-stand; considering the price, it would be folly to put this light on anything less. When you first receive the light in the huge Peli case that it comes in, some assembly will be required. It may seem a little complicated to begin with, but, even without any instructions, I was able to set everything up without any issues. 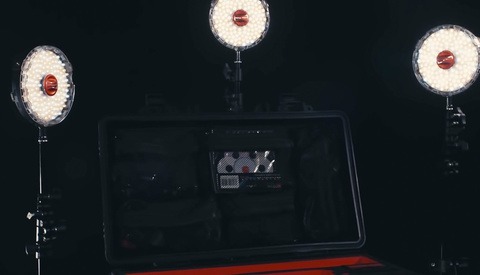 Although you have the option to use this light with batteries for mobile operation; due to its sheer size and weight I preferred to use it indoor only. The two handles on the side need to be attached and they prove very useful when it comes to picking up and transporting the light. my favorite thing about this light is the ball head on the mount. This is extremely useful because it allows you to have the light at various angles. 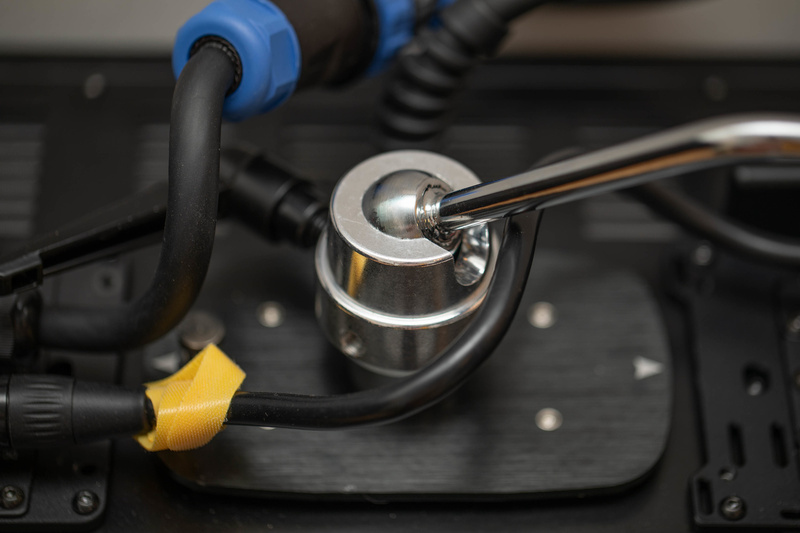 The ball head means that it doesn't need to be precisely vertical or horizontal and you can adjust it very fluidly to whatever angle you desire. The cables that come with this light feel very durable and very well-made. The way they connect to one another is very satisfying and assuring. 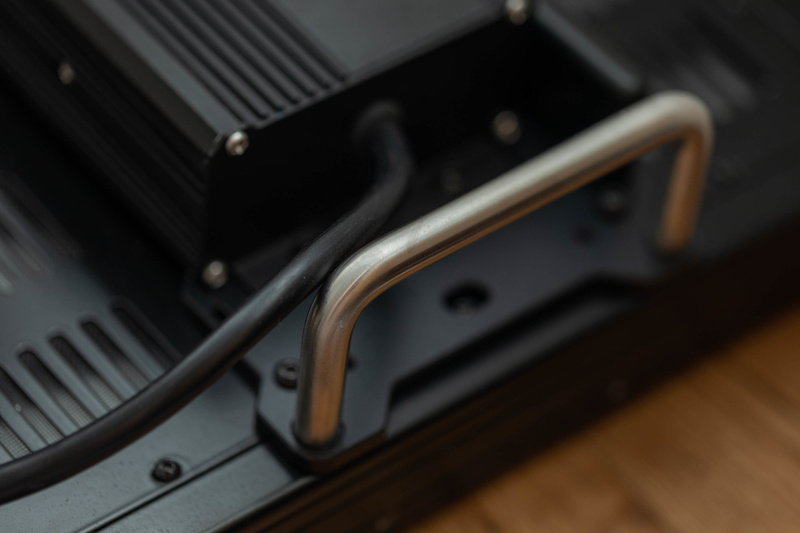 Due to the interlocking mechanisms in all the cables I'm confident that nothing is going to accidentally slip or disconnect halfway through a shoot. The build quality is also exceptional and precisely what you'd expect for a light that costs as much as this one does. As long as you've screwed in all of the attachments correctly, everything feels super sturdy. If anything I'm finding it difficult to find anything I'm unhappy about or feel like could be improved when it comes to the build and design. Sure, it's heavy but even that is understandable considering what this light is all about. I've been using the Z1200VC for all of my recent YouTube videos and 20% has been the highest I've needed so far. My settings are normally around f/2.0 for the aperture and 1/50th of a second of the shutter speed. With those settings, even 10% is generally enough. Compare that to some popular 500 LED lights, I'd have to film at full power and increase the ISO to about 320 just to get a similar exposure. The reason this is such a useful feature is that it means you can comfortably shoot at higher frame rates. You can also use this light for photography. 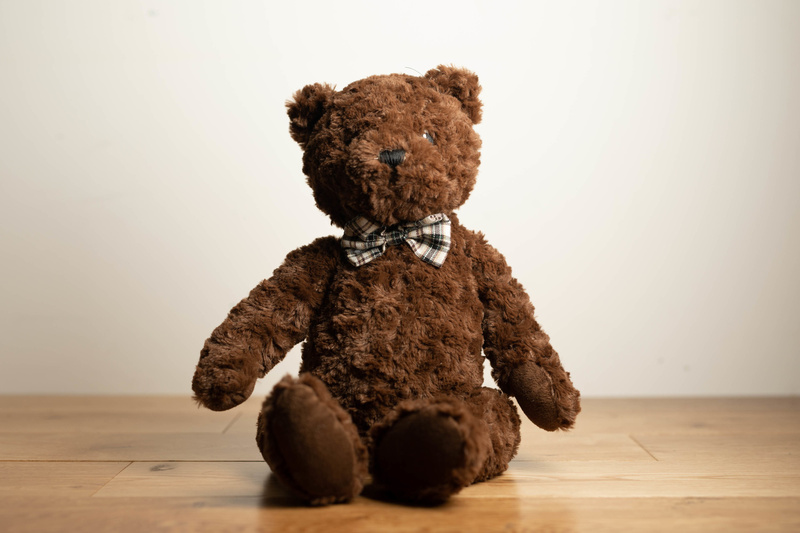 The image below, for example, was shot at 50% power, 1/640th of second for the shutter speed the aperture was f/1.4. The only issue I'd say is that the light for your subject will be super bright, hence the squinting. 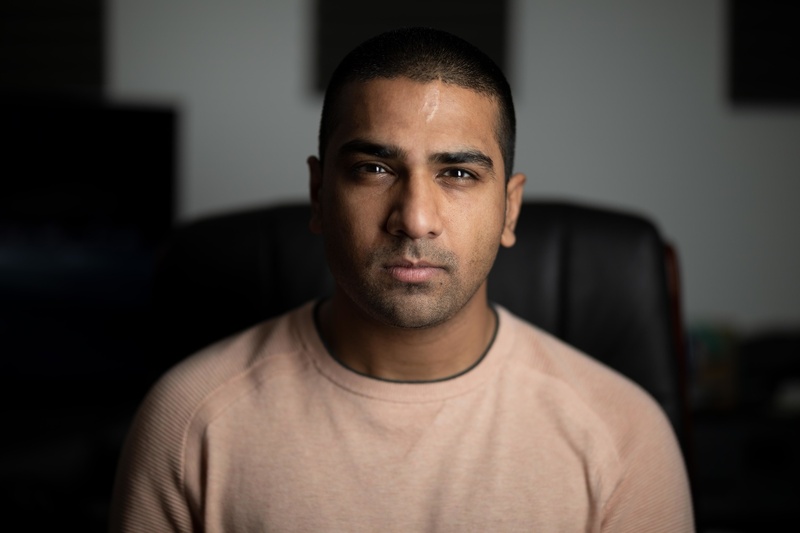 To prevent the light being from too bright in the eyes of your subject, you can drop the power down to 25% and increase the shutter to 1/320th. This would still allow for a fast enough shutter speed to prevent any motion blur. The image above also does not have any additional diffusion. Even with it being a bare light you don't have any unpleasing hotspots; this is one of the major reasons why I love this light so much. 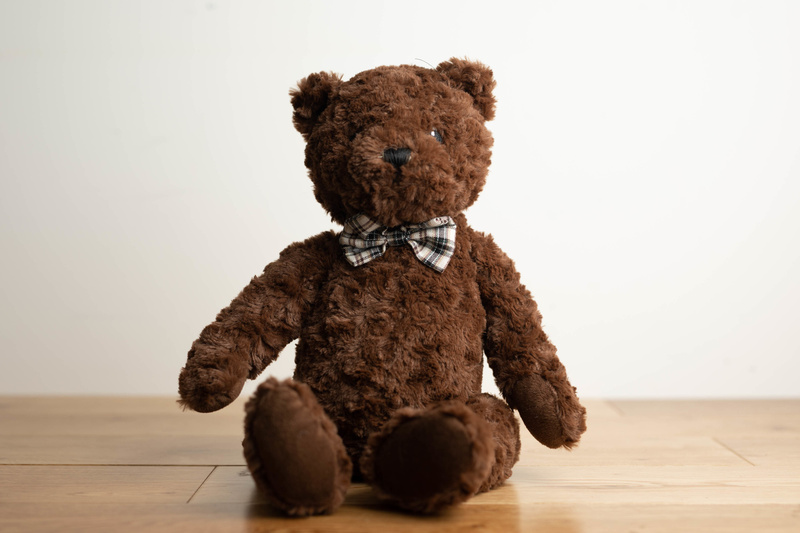 It produces beautiful looking soft light with very pleasing catchlights in the eyes. As someone who's a bit of a hybrid shooter, in that I shoot both photos and video; I bought and use dedicated lights. For my photography, I use a mixture of speedlights and larger flash heads depending on my requirements. For video, I obviously use continuous LED lights. Personally, I don't need perfect colors for the kind of videos that I produce. Most of the videos I produce are mostly just photography related reviews and comparisons for YouTube. For that type of content colors that are about right are generally fine. The issue is that trying to get colors that are about right is still difficult with many led lights that I've used so far. Although many LED lights on the market offer the option to change the temperature they tend not to offer options to control the tint. For this reason, in my experience many led lights I've used end up leaning a little too far into the magenta or green. For stills, this isn't that great of an issue because you can shoot in raw and correct in post if required. For video, however, this can be a problem because most people don't shoot raw video. Correcting the white balance of compressed video in post can create a few issues and the colors can still look off. For this reason, the Z1200VC is such an incredibly useful light. With the Z1200VC You can be very precise with the color due to being able to make changes all the way down to 0.1 point at a time. This is an extremely useful feature and probably one of the most useful features of this light. These incremental changes allow you to be super precise with the color of the light and it means even if you're shooting compressed video you don't have to rely on trying to correct things in post. In regards to color accuracy, this is where things get a little tricky. The reason I say this is because the color the light produces and the color your camera perceives can be different. The F&V might not be completely accurate at any given white balance and this is demonstrated with the comparison below. The test image that the F&V is being compared to what lit with the Godox AD600 with a shoot through umbrella for diffusion. Both images were shot at f/2.8. 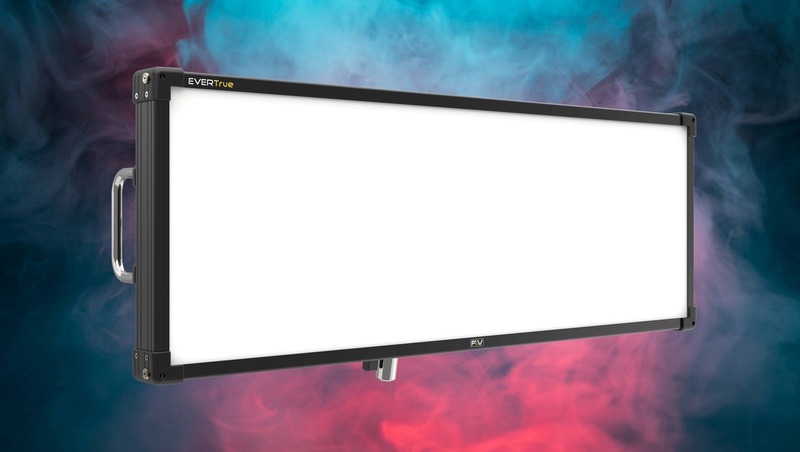 The AD600 isn't really known for being the best when it comes to color accuracy however compared to the F&V light it is much closer to the 5500k temperature. The F&V light appears much warmer and is also leaning a little into the greens. Now, this is not a scientific test by any means and the color shift could be coming from a number of factors. The lens for example I used was the Sigma 50mm f/1.4 Art which is known for being slightly warm. The Godox might in-fact be much colder than what it's supposed to be but due to the lens being warmer it seems more accurate. The benefit of the F&V light, however, is the fact that you can adjust the settings on the light to compensate for any color issues with the camera, lens or even color pollution being added by objects in the frame; like the floorboards for instance. You can't make those adjustments with the Godox light and this where the F&V excels. 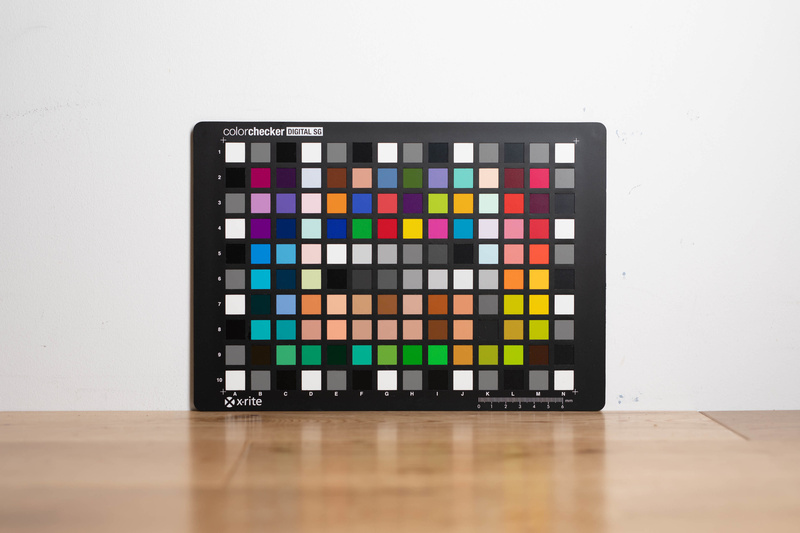 The image below of the ColorChecker SG digital helps to demonstrate how much of a warm shift there can be depending on what lens and camera you use. The light was set at 5500k and so was the camera. Once corrected in post the difference was -700k on the temperature and -3 on the tint. Now the reason I say the F&V might not be completely accurate is that even with other cameras and lenses that I tried the light does lean a little warmer. Even still, it's difficult to say that this is due to the light and not the lens or the situation. Once again the controls offered by the light means that with a few adjustments you can get essentially perfectly accurate colors. Beautiful soft light even without any additional diffusion. Extensive controls for both light power output and color. Ballhead mount for precise movements of the light. Battery options for mobile operation. Color accuracy could be questionable but this is such a minor issue due to the control you have. The weight could cause some challenges but this is nitpicking at best. The price could make it a little prohibitive for many creatives. This is without a doubt the best light I've ever used compared to both strobes and other LEDs. The control you have over both the power and color is incredible and due to this any issues you may have with color accuracy is negligible. If anything, the control you have means that you can work out potential issues with your set-up and lens choice and correct any color issues that are being produced. 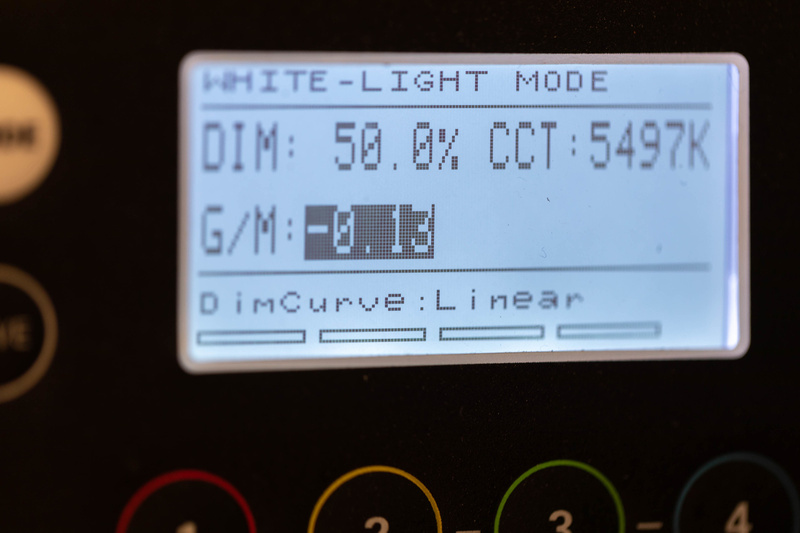 Using color charts you can calibrate the light to your needs and produce much better results with the F&V light than most other tools on the market. The light quality and the fact that you don't necessarily need any additional diffusion is such a brilliant thing. I honestly can't recommend this light enough. If you have the budget and are color conscious (which I think you should be) then this is probably the light you need to be looking at. You can purchase your using this link here. Was wondering the same. Also... No mention of kino in this article makes me wonder if the writer ever worked with higher end lights. I haven't used the diva 21 but I have used the 20. I've used a lot of high-end strobes but I guess maybe not that many LED lights. I didn't think mentioning the 20 would have been appropriate as that's more of a bulb based light. "The AD600 isn't really known for being the best when it comes to color accuracy"
Quick search on YouTube and a couple of videos show that the AD600 (not even the pro), have better color accuracy and, more important, consistency than Profotos. Besides, put them behind a modifier and all bets are off. Considering its size, this is a light for studio work and I still would prefer Paul C. Buff strobes. Paul C. Buff strobes aren't really ideal for video though. So far all the comparisons I've seen show the Profoto lights to be much better for colour compared to the AD600. Not the Pro. Ah, my bad, I was thinking stills. As for the comparison, I will link a couple of videos when in front of my PC. This light is an almost exact rip off of the Kino celeb 400 “freestyle”. But the freestyle has good CRI and the control unit and ballast are built into the same box. I was surprised that they are priced so similarly. I feel like this should be a budget LED like the aperture. But either way, this style of light can be geat for both photo and video. It is great for lighting product, interviews and portraits. But it won’t replace a strobe. *after further research it turns out that the CRI on the freestyle and z1200 are actually very close and the Z1200 might be a little better. 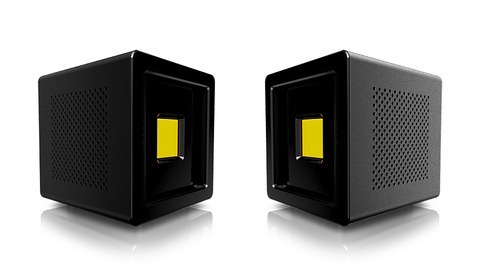 I think a good follow up article (or video) would be a comparison between the two lights. It would be great to test them out side by side and see if they math up to their claims. "Best LED Light" is a very bold claim. In fact there isn't a "best" light because applications are different. Certainly it seems like a very nice light, but to suggest "best" also suggests the writer hasn't tried Arri, Kino or Rotolight who are all top of the game. I'm sure it deserves to be on everyone's watch list, sound lovely - although something of a copy of the Kino 400's without IU'm guessing quite the same RnD into the colour science.